I remember there wasn't any artbook for the first game so it's great there's one for the second game. 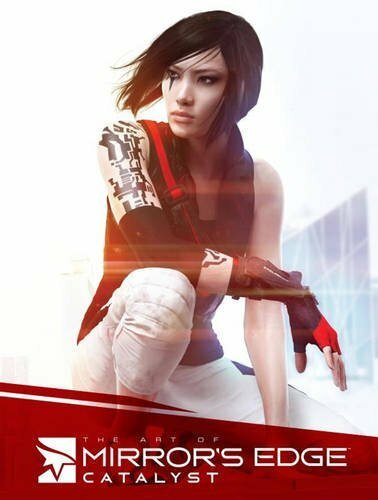 The Art of Mirror's Edge: Catalyst is 200-page hardcover concept art book that features mostly character and environment art. If you like the environment, you'll be glad to know that the book shows you a good amount of visual development work that goes behind conceptualising the city. The amount of detail in the design and models look great. As for the feeling, everything appears very high key, very bright, airy, dreamy with the occasional glow. Because of that, it also makes the city looks almost too clean which is actually in line the city of Glass in the game. I like how the sleek and modern the buildings look. There are a couple of more outlandish designs but overall it's not too drastically different from real life cities. The rooftops in the games are much cleaner though. Where do all those people hide their air-conditioning units? There are character designs for the main characters. Faith of course has more pages showing us the different types of clothes, shoes, gloves designs before the final chosen one. Other characters usually have one or two pages, such as Noah, Icarus, Nomad, Rebecca, Dogen, Birdman, Plastic. There are more pages on the enforcers from KrugerSec and the main antagonists. You can see they get a lot of inspiration from military and tactical uniforms and gear. There are a handful of storyboards and action scenes to prevent the book from feeling too static but I think there could be more. The occasional captions talk about the designs but they are usually just one paragraph. The other text would be the lengthy chapter openings. Generally speaking, there's not a lot of text, so don't worry about story spoilers. Overall a good game art companion. Fans should enjoy it, as well as those who like cityscapes environment art.